View More In Screen Protectors - Page 2. Only 0.3mm thickness maintains original response sensitivity, which ensures quick app launch, smooth games and video playing. ♥[Work For] iPhone 8Plus, 7Plus, 6SPlus, 6Plus (5.5 Inch Screen). 0.3mm tempered glass screen protector. Featuring maximum protection from scratches, scrapes and bumps. If you have any questions about this product by TangDirect﻿, contact us by completing and submitting the form below. If you are looking for a specif part number, please include it with your message. 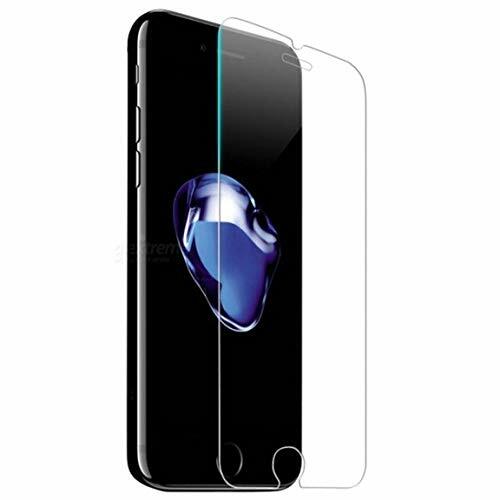 DIJILOGIX Tempered Glass Screen Protector Compatible with iPhone SE, iPhone 5s, iPhone 5c. Easy to Install with Smart Install Tray.